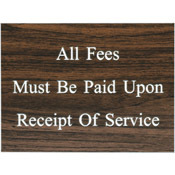 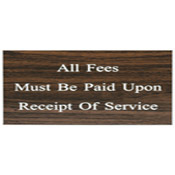 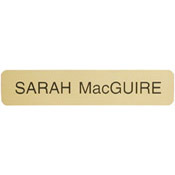 Have an existing Holder and need a Nameplate? 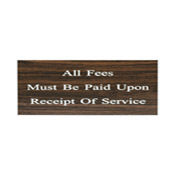 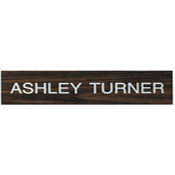 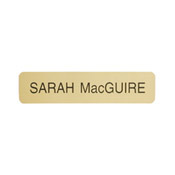 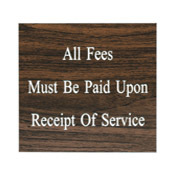 Choose from either our Designer Name plates (rounded corners) or our Standard Nameplates (Square edged) Both made of high quality material for long-lasting durability. 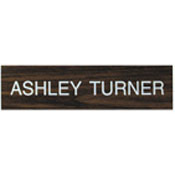 K01 - "Name Plate Only"
Recommended Uses: Existing Desk and Wall Frames. 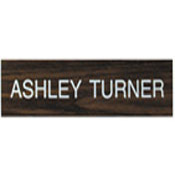 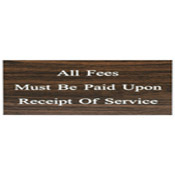 K02 - "Name Plate Only"
K05 - "Name Plate Only"
Recommended Uses:Existing Desk and Wall Frames. 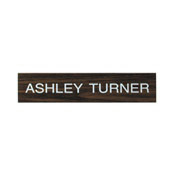 K06 - "Name Plate Only"
K07 - "Name Plate Only"
K08 - "Name Plate Only"
K09 - "Name Plate Only" - 1-1/2" x 10"
W01 - "Name Plate Only"
W02 - "Name Plate Only"
W03 - "Name Plate Only"
W04 - "Name Plate Only"
W07 - "Name Plate Only"
W08 - "Name Plate Only"